Kanazawa Betsuin is also called Oyama-gobo, a word used to refer to a temple with deep respect and friendliness. 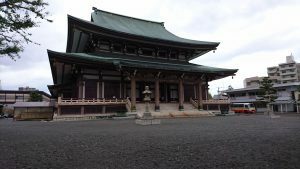 It also signifies a spirit to maintain and spread the Buddhadharma around the world.This is the main temple of the Kanazawa area, where people can encounter the Buddhadharma through the teaching of Shin Buddhism. We hope that your visit to our temple will give you an opportunity to experience the teaching of Shin Buddhism which is deeply ingrained in the minds of the Japanese people. This temple has an English brochure.